The wonders of Denali National Park are yours forever on this remarkable video. You'll see Mt. McKinley and Wonder Lake at sunrise. Watch the park's incredible widlife up close! You'll see grizzly bears, caribou, Dall sheep, moose, fox and Denali's summer birds. You'll also enjoy meeting the park's working sled dogs and go on a nature hike. It's everything you came to Denali to see and that's just the beginning. 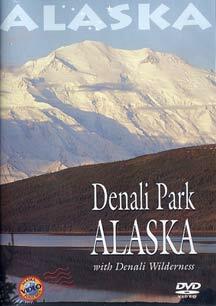 This DVD also features the acclaimed National Park Service film, "Denali Wilderness." You'll witness the four seasons of Denali Park. See rare footage of a battle between a grizzly bear and a caribou. Watch as Dall sheep rams battle in their quest for dominance. Together these two programs offer you a lasting reminder of the beauty and natural wonders that make up Denali National Park.